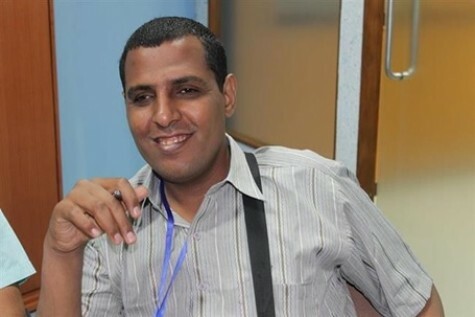 Journalist Sabri Salmeen bin Makhashin, Editor-in-Chief of Al-Mohrer newspaper and the online Al-Mohrer.Net, was freed after almost a month in prison. However, on 09 February 2019, he was not allowed to travel to Cairo with his family for treatment for his poor health, which deteriorated in prison. He and his family were stopped at Sayoun airport in the Hadhramout region of Yemen by the Military Intelligence Service, in whose custody bin Mkhashin was from 03 to 28 December. He was on hunger strike from the moment of his arrest, despite his poor health condition. The Gulf Centre for Human Rights (GCHR) expresses serious concern for the health and safety of Sabri Salmeen bin Makhashin, particularly as he has no access to proper medical care in Yemen. GCHR expresses further concern for the situation of all those in Yemen who are being targeted as a result of legitimately reporting human rights violations in the shadow of the conflict. Guarantee in all circumstances that all journalist, media workers and human rights defenders in Yemen are able to carry out their legitimate human rights activities without fear of reprisals and free of all restrictions including judicial harassment.